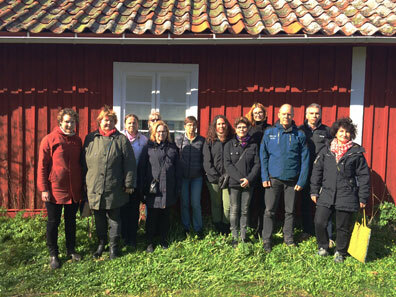 With four universities and the Swedish Polar Research Secretariat as members of SITES there need to be common strategies and routines regarding administrative reporting. The responsible economists were gathered at Erken for a meeting aiming to inform and discuss financial accounting in the light of key figures and business plan monitoring. Is there anyone here? Twist and turn the stones to find the small animals. Identified species on the inventory list are moved to smaller cups. 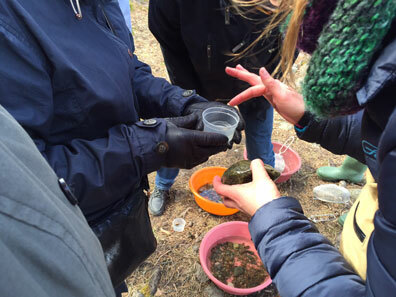 As an exercise the participants made an inventory of water living animals along two shores of Erken. A challenge for several reasons where strong winds from the north. 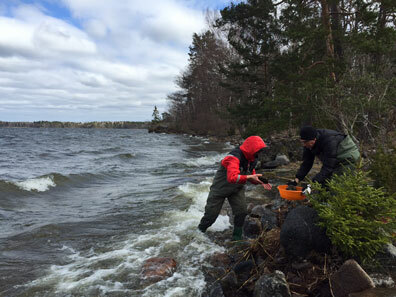 The groups found for example asellidae, chironomidae och gastropods. 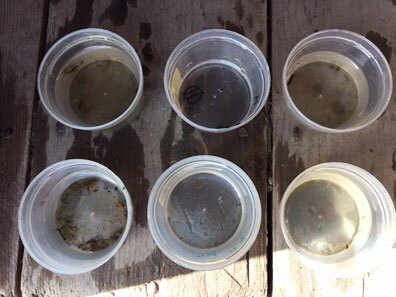 In the cups are diving beetles, chironomidae and gastropods.